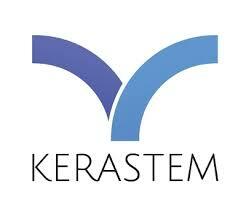 US Food and Drug Administration Center for Biologics Evaluation and Research (CBER) office has recently granted conditional approval to Kerastem Technologies for its clinical trial investigation on the feasibility of the company's treatment for female and early male pattern baldness. The clinical study will determine if the use of Kerastem's Celution and Puregraft Systems is safe and feasible in the processing and preparation of an autologous fat graft enriched with adipose-derived regenerative cells (ADRCs) in the treatment of early alopecia androgenetica. Initial clinical works have been done in Europe and Japan which also served as basis for the FDA submission. The STYLE trial will compose the phase II of the study where 70 controlled patients, coming from 8 centers in the United States, are expected to be enrolled in late 2015. The STYLE Trial is a prospective, randomized, multi-center device trial intended to evaluate the safety and efficacy of the Celution and Puregraft Systems in the processing and preparation of an autologous fat graft enriched with adipose-derived regenerative cells (ADRCs) in the treatment of early alopecia androgenetica. The patients will undergo fat harvest using local anesthesia and then they will be randomly assigned to receive either of the following: fat graft cell enriched with ADRCs (available in two different doses),a fat graft without cell enrichment using a visually-matched blood saline solution (fat alone control), or a saline injection (no-fat control) in a 2:2:2:1 ratio. While undergoing liposuction, lipoaspirate will be processed in the Puregraft System to remove the lipoaspirate of impurities and in the Celution System to isolate and concentrate ADRCs. After the liposuction is completed), patients will have, under a ring block local anesthesia (see further description below), a subcutaneous scalp injection of either Puregraft purified autologous fat or saline (no-fat control) followed by a separate second injection, of either ADRCs (available in two different doses),a visually-matched blood saline solution (fat alone control), or saline (no-fat control) in a 2:2:2:1 ratio. Currently, there are studies to regarding the use of plasma rich plasma injection to address hair loss problem. Research has shown that application of minoxidil (a tablet used for treatment of high blood pressure)directly into the scalp may promote hair growth.